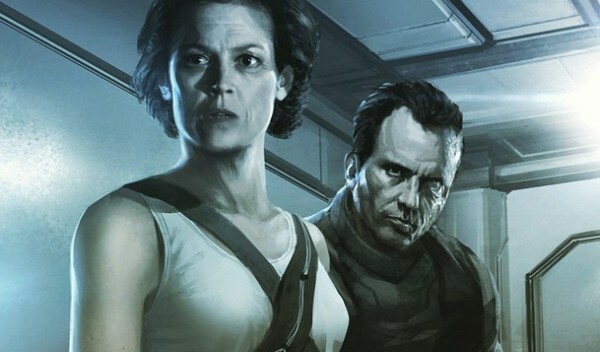 Neill Blomkamp is working on a new Alien film that’s reported to follow the events of Alien and Aliens. Ridley Scott is working on Prometheus 2, which is the prequel to the Alien films. Now we have some hints that the second Prometheus film will be taking place way after the events of the first film. Scott has asked Blomkamp to make a change to his movie as to not conflict with the Prometheus sequel. I didn’t even think I was going to make any film, let alone a large studio film, but I was like – it came from a place of love, it came from a place of me being a fan and I was like, if I’m a fan then other fans should see the stuff. At least here’s one person’s take on it. I changed the one thing [Scott] felt was bumping Prometheus a little bit. One thing that makes me feel good about it is that Ridley is producing it. He likes the idea of what I want to make. Can he reveal the title of his Alien movie? I sent what I wanted as the title to Ridley [Scott]. It’s kinda quite bold, and he was like, ‘I really like that. I’m going to test it, although I don’t think it’s gonna work. ‘ So I have my own idea, but it also sort of gives away too much if I say the title. But in the event that it doesn’t work, I’m kinda like dead in the water. So how close will Prometheus 2 and Blomkamp’s Alien films be? Are you guys looking forward to Prometheus 2 or Blomkamp’s Alien film?